The Spanish way of life is unlike any other. The food is some of the best in the world, the history is rich, the sights of Spain are amazing, and of course the weather is stunning. Not to mention, siestas are a part of the culture and annual holidays (or fiestas) are pretty frequent as well. For many people, living in Spain is a dream come true. However, before you go finding your dream home in Mijas or renovating an apartment in Marbella, you should learn about property taxes in Spain. Spanish taxation is similar to the British taxation system. Here are three things to be aware of before you start navigating the ins and outs of Spanish home buying. Property taxes in Spain can be broken down into two main categories: sales and maintenance. Sales tax is fairly simple to understand and prepare for - it's the added amount due at the time of your home purchase. Maintenance tax, on the other hand, is reoccurring. These fees are an annual expense that go towards rubbish collection and community fees - similar to the British Council Tax system. 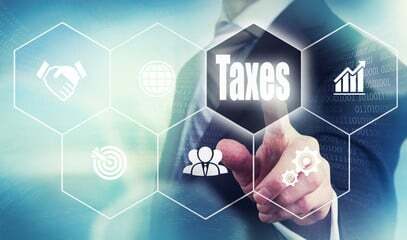 They are also part of income tax accounting and collection, which will vary whether you are a Spanish resident or non-resident. Keep in mind that your permanent address and citizenship will also play into the initial sales tax. If you're a non-resident of Spain, chances are, you're going to be spending a significant amount of time outside of the home you plan to buy. Many homeowners see this as an opportunity to rent their space for extra income on the side. But, take a look at the applicable Spanish tax before you move forward as a rental property manager. This will be an expense you have to account for in addition to the maintenance tax expected. It also has different rates for residents and non-residents. As if understanding all the home buying and property taxes in Spain isn't enough, there are still other fees included in the process. These include registration, notarial, and banking fees. If you're planning to move to Spain and achieve residency in the future, try to start planning for legal fees now, too. Legal resources are also a good thing to look into if you're working in Spain or partnering with a Spanish company. Interesting in discovering a few areas of Spain before you start the buying process? Already know exactly where you want to be and ready to start looking for the perfect home? Wherever you are in your search, we can help you end up in the ideal new Spanish home. Our professional property agents are well-versed in luxury villas, bargain buys, and everything in between. Contact us today to speed up your search and start seeing what Spanish living is really like!